A total of 16 players took part to make up 8 teams, split evenly into two divisions to play a round robin with the top two teams from each division making it into a semi-final crossover game, the winners of that playing off for first place. 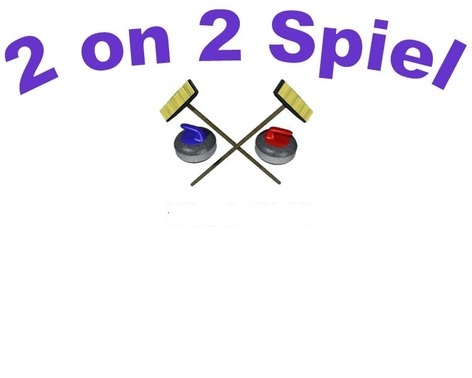 In division 'A', the team of Joe Erickson and Chris 'Slugger' MacLeod went through with a perfect 3-0 record to take top spot and earn a place in one semi-final while George Plumridge and Bob Smith took second place and also a spot in the semis with a 2-1 record. In the 'B' division it was Walter Nichols and Kathy Gale with a perfect 3-0 record in top spot while Greg Wall and Mel Windsor squeaked into the second playoff position with a 1-2 record, narrowly edging out two other teams with identical records, Wally MacDonald and Lynn Kelly and Frances Ford and Keith MacEachern, on plus/minus. The Windsor/Wall team would face Erickson/MacLeod in one semi-final while the other would have Gale/Nichols taking on Plumridge/Smith to see who would make it to the finals to play for the overall title. Plumridge and Smith punched their ticket to the championship by handing the Gale/Nichols rink their first loss of the event and relegated them to the consolation game. In the other semi, Erickson and MacLeod made it through by defeating the Windsor/Wall rink. The consolation match didn't get played and the prize money, $140 in total, was split by the two teams. In the championship game, the Erickson/MacLeod rink got out to an early lead, scoring a single point in each of the first three ends. Plumridge and Smith got on the board in the fourth end with a single and then stole another in the fifth to make it a one point game coming home. The end was setting up well for Plumridge/Smith but a missed guard late into it allowed MacLeod a chance at a runback take out with his second last rock that he made, putting him back in control of the end. When a draw opportunity came up light on Plumridge's last stone, Erickson and MacLeod solidified the win. They took home a prize of $100 and the runners up got $80. Congratulations to our winners. A big thank you goes out to everyone who took part and to everyone who helped out in any way in planning and running the event. Watch for more two on two events to make their way onto the schedule again next season.